Chess is a game of strategy and intelligence. The more you practice, the more you learn. Clubs, organizations, and institutions which conduct these competitions can use these certificate templates to create certificates for awarding participants. This certifies the score and the position of the participant in the competition. 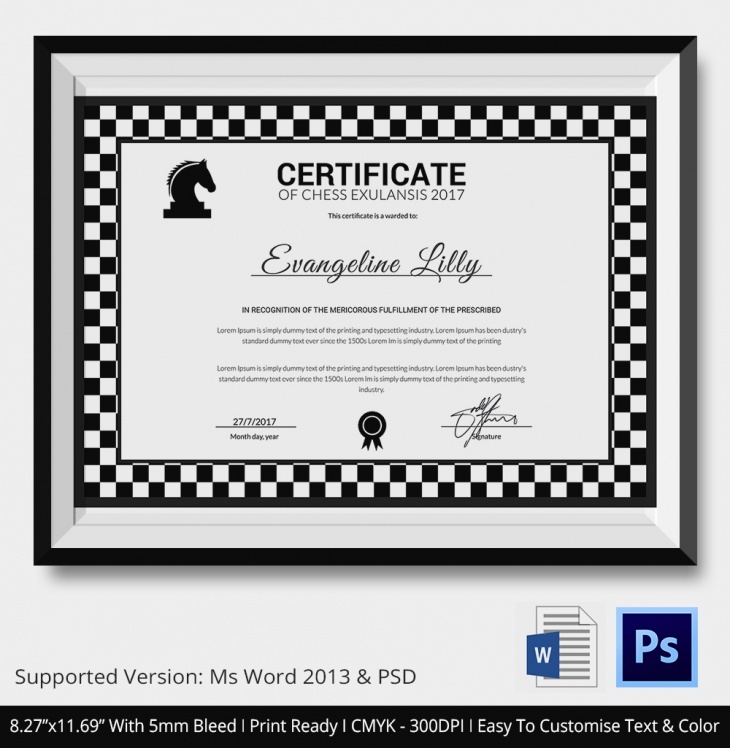 This is a landscape size certificate template that has a chequered border and a symbol of the horse on the left side of the template. The color black is used for border, seal and text for this template. 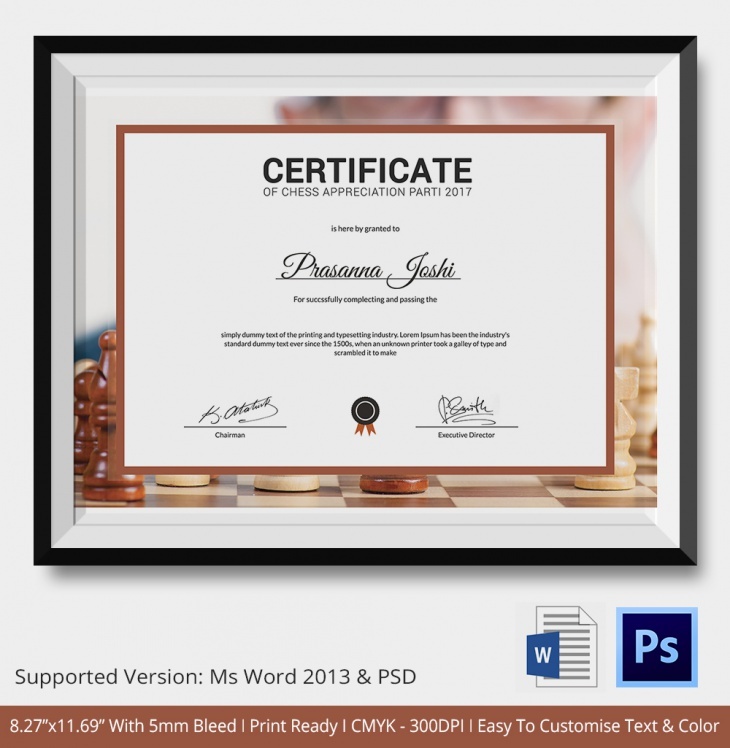 This certificate has a landscape dimension with an image of the chess game in the background. The foreground is a border in light brown color where the color used on top of the image is a white background. The black color text is used throughout the template. This is a letterhead size certificate template with horizontal bands on the top and bottom with red and black design elements in them. They also have text like, the title of the certificate written on them. The font colors used for this template are white, red, and black. 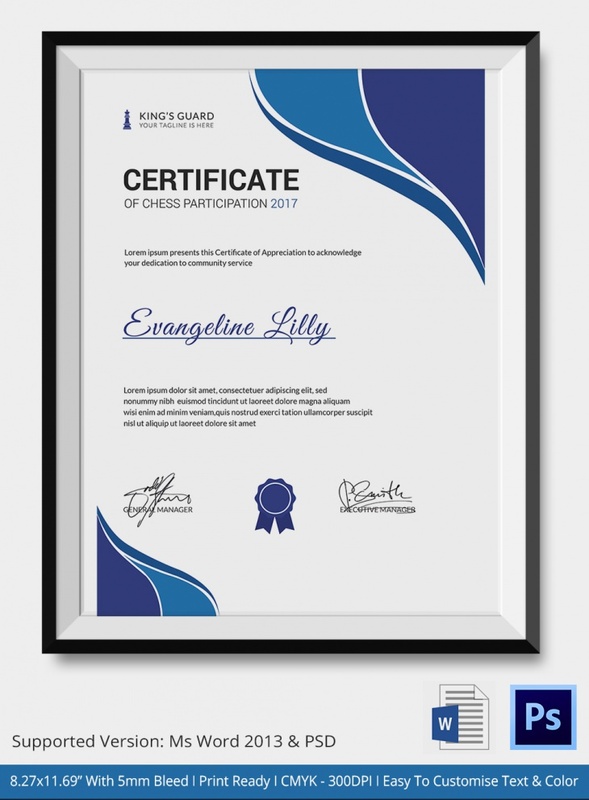 This is a letterhead size chess certificate with a white background. It has light blue and dark blue design elements placed on the top right corner and bottom left corner of the template. The font colors used are black and dark blue. 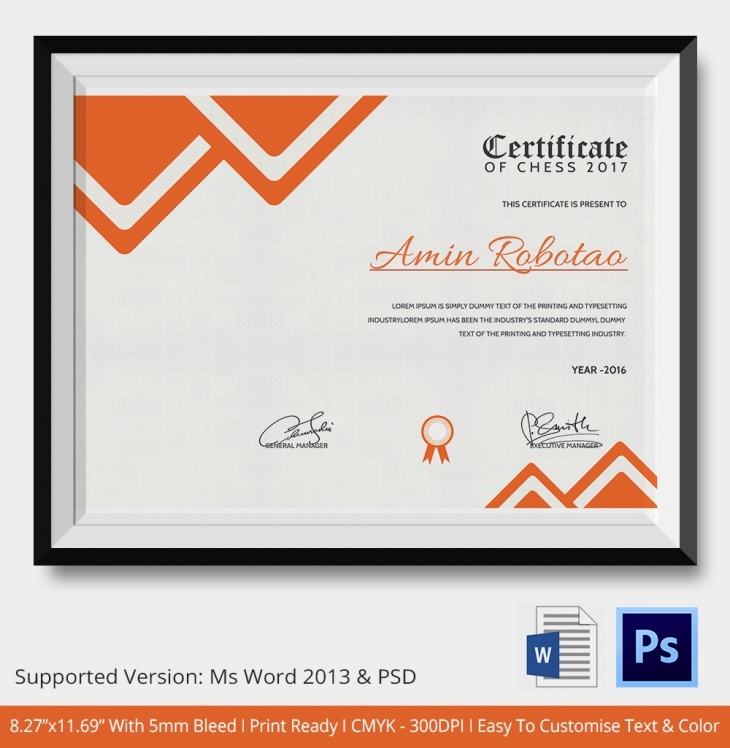 This is a landscape size certificate template with a white background. It has design elements of inverted orange triangles placed on the top left side and bottom right side of the template. The text color used is black and orange. 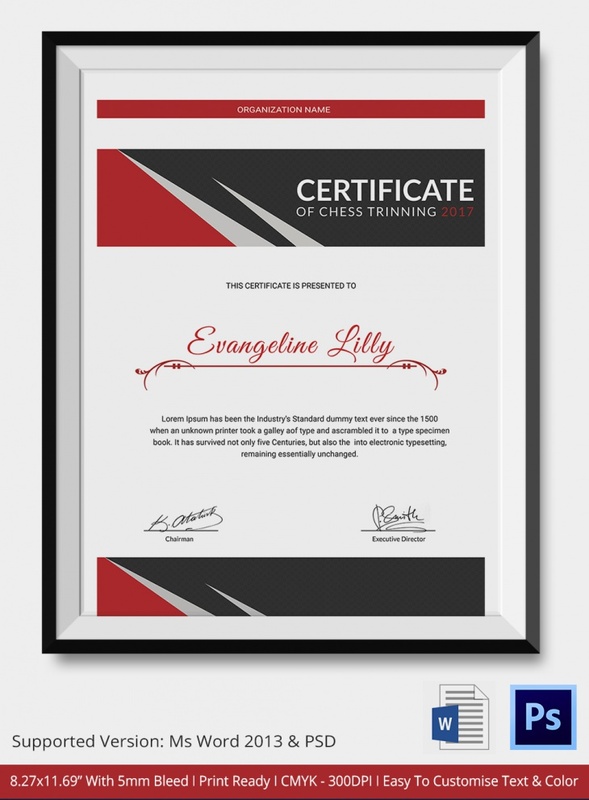 These chess certificate templates are available in interesting designs and format. They can be edited in MS Word and Photoshop. You can place different motifs, add images to the background, and also change the layout if you want when you use this template.